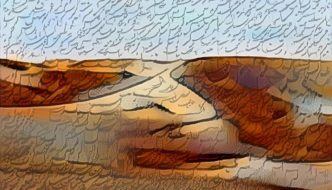 Bahiyyih Nakhjavani’s poetic prose is a continuation of the Persian tradition of using lush, mystical imagery to awaken the soul. We hope you will join us as we take a journey inward with The Saddlebag. This was the third reading of Readers Underground (then #litgeeks). The conversation continues in our forum. 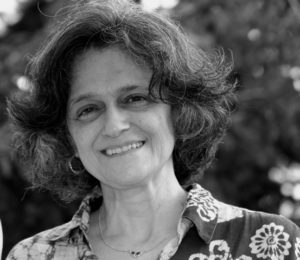 First published in 2001, The Saddlebag by Iranian-British author Bahiyyih Nakhjavani is one story that is nine stories, nine stories that are one story. Nine characters encounter each other and the contents of mysterious saddlebag on Pilgrimage to the Holy Cities of Mecca and Medina. A contemporary Canterbury Tales, each story resonates with joy, sorrow, life, death, and the ever changing face of the Divine. The Thief, the Bride, the Chieftain, the Moneychanger, the Slave, the Pilgrim, the Priest, the Dervish, and the Corpse. These nine souls—different races, stations, religions and backgrounds—gravitate, unbeknownst to them, towards a single, primal point. 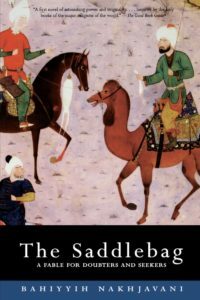 In this hangout we discuss (primarily) “The Thief” vignette, meaning and symbolism in the The Saddlebag, consciousness studies, Henry Corbin and the Illuminationist school (think: angels), Zoroastrianism, Babism, and The Bahai Faith.